Great for cocktail parties, corporate events, and much more! These 5 oz., two piece clear plastic flute glasses are the perfect way to serve drinks at your next event. 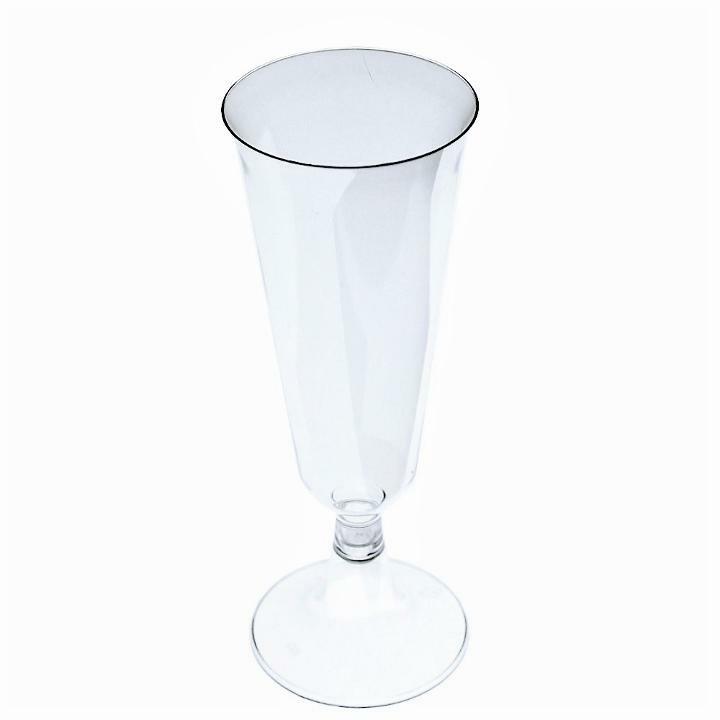 Made of heavy duty plastic, these flute glasses feature a crystal clear design and sturdy base. Great for cocktail parties, formal events, and much more! Dimensions: 6.5" tall, 2.25" round base, 2" lip to lip. L: 6.5 in. W: 2.0 in. H: 2.25 in.